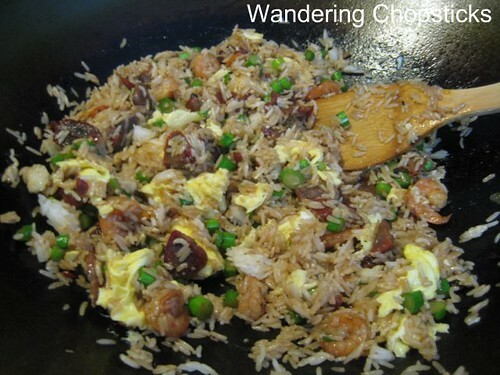 According to Wikipedia, Yang Chow fried rice was actually not created in Yang Zhou, although they have tried to claim it. And why wouldn't they when this is the most popular version of fried rice served in Chinese restaurants? 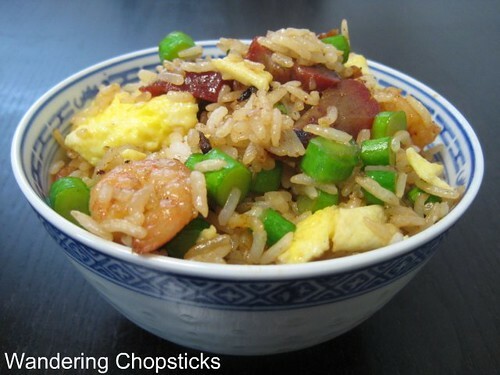 Yang Chow fried rice was invented by Qing dynasty magistrate Yi Bingshou (1754-1815), who once presided over the region. 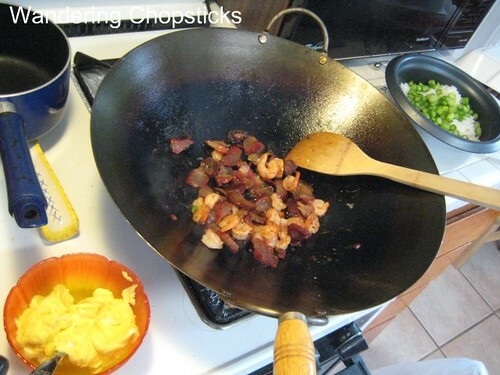 The main ingredients to make fried rice Yang Chow-style are char siu, shrimp, eggs, and something green, typically gai lan (Chinese broccoli). Gai lan is a member of the broccoli and kale family. It tastes a bit sweeter than broccoli but also has a slightly bitter aftertaste. 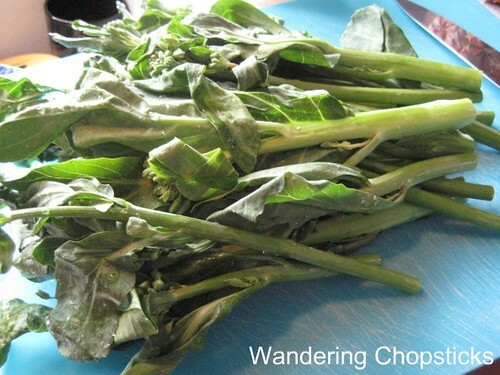 You'll typically see gai lan at dim sum restaurants served steamed with oyster sauce. For this recipe, I'm only using the ends so if you can't find gai lan where you are, you can substitute with asparagus or green beans. And since I haven't made fried rice in a while, I thought I'd give a refresher on some of my techniques (which doesn't consist of much). I like to make my eggs first and then set them aside to be added at the end. This way the raw egg doesn't make the rice soggy, and any added soy or oyster sauce doesn't make the eggs soggy. Remember to use day-old or leftover rice to keep the fried rice from being soggy. If you don't have any on hand, then cook fresh rice but decrease the amount of water by about half a cup. Turn the heat on to high because everything will cook very quickly in the wok. Drizzle a bit of oil, scramble three eggs and set aside. Then add a little more oil again and saute the char siu and shrimp until the shrimp turns pink. Add the rice and gai lan and mix thoroughly until the vegetable is tender crisp. At this point, you can add soy or oyster sauces if you wish. I think the char siu already has plenty of flavor so I generally don't add any sauces to this particular fried rice recipe. You can also add any additional char siu marinade juices for flavor instead of soy sauce if you wish. Then add the eggs back in and mix again. And you've now got a very pretty batch of Yang Chow fried rice. Red from the meat, pink from the shrimp, yellow from the eggs, and green from the gai lan. 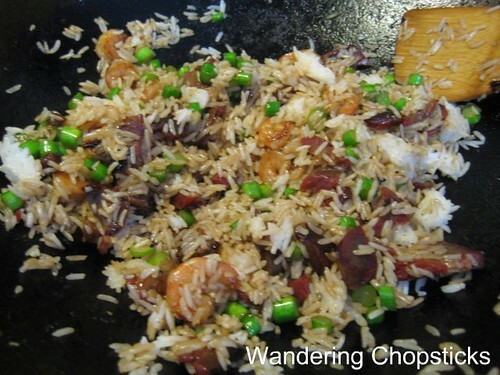 I think it's because of the colors that makes Yang Chow fried rice a favorite at Chinese restaurants. I'm submitting this recipe to Weekend Herb Blogging, a world-wide food blogging event created by Kalyn's Kitchen celebrating herbs, vegetables, or flowers. If you'd like to participate, see who's hosting this week. WHB is hosted this week by Lia of Swirling Notions. 1 year ago today, I welcomed the Year of the Pig with a Feta and Cheddar Cheese Fondue dinner. ooo.. i love the way the rice grain separates in your fried rice. 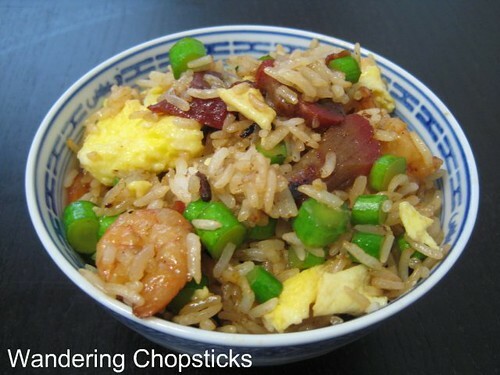 Yummy, I love yang chow fried rice. The Chinese place by my house makes it with lettuce which is different than your recipe, but it's not bad. Dammit.. now I wanna go home and make some more fried rice heh. That is a bowl of pretty fried yang chow rice! I wish restaurants in Arbor Arbor would make fried rice like this. I love gai lan and it's so nice combined with char siu pork. 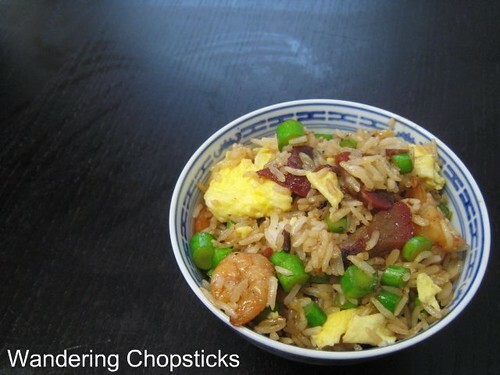 I'll try to make my fried rice like this now. Can't wait to make this! Can't wait to make the char siu too! I think we've been reading each other's minds lately. First the chicken bones and now fried rice! Ok, so i didn't make fried rice, but tonight my sister called me to show her how to make fried rice! Just use old rice that's slightly dry and it won't stick together. I can't believe you've never made fried rice before! All the Chinese restaurants around here make it like this. 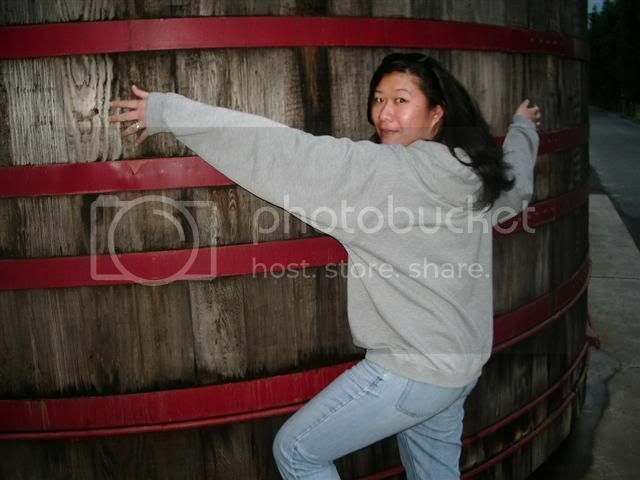 :P OK, you're the second person to tag me today so I guess I can't avoid this one. Ooh la la, I love Yang Chow fried rice. Can't get enough of it! Yes, your rice is indeed gorgeous! I haven't made fried rice for a while, but I agree completely with your method of cooking the egg separately and adding at the very end! Saving this recipe so I can make some fried rice soon. There's a reason why it's the most popular fried rice recipe. Thanks. You just reminded me, I haven't cooked with asparagus in a while.